How a town that has suffered so much as Sarajevo can produce a city of so many vitality? 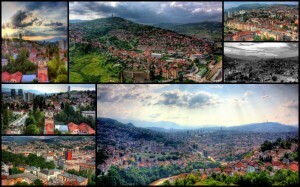 This one is a question that you are going to ask you again and again when you explore Sarajevo. In the decade of 1990 Sarajevo was treating itself about a city with people in the edge of the annihilation, but today it(has turned into a favorite destination for travelers and tourists. Sarajevo is a living museum of the history. And there is really much of it! Mosques, churches, cathedrals and municipal buildings well constructed by the Ottoman and Austro-Hungarian Turks, a bridge in the world history that has given a fatal draft. In Sarajevo also it is possible to see the Museum of the tunnel, the yellow Holiday Inn, and the artillery with scars of the Library as a reminder of the recent tragedy. Sarajevo has a captivation: former streetcars circulate along the downtown that contains the bazaar Bascarsija, a place of trade with the former handcrafted workshops, rooms for drinking coffee, restaurants, cozy bars and many options to buy suvenires. More towards the west the Ottoman fingerprints disappear and the city acquires sit another side of the colonial capital where they are proud of its Austro-Hungarian past. There is an environment of great village in Sarajevo, which makes feel comfortable to the tourists, as part of what is happening at once. It is difficult to reach in another destination this sense of belong to the town life. You do not need to invest a lot of energy in the appraisal of Sarajevo, it is a city that easily can be visited by foot, and have a good public transport. Being a very opened city there is too much to see, and to sit down in Bascarsija’s coffee offers you a seat of the first row in a theatre of the good life. 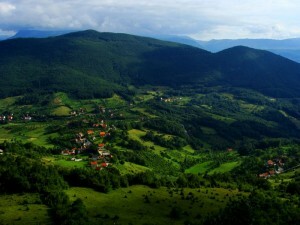 The south of Bosnia and Herzegovina has much that to offer. For example we can find the paved streets of Mostar that reveal an architecture of the 16th century with Ottoman mosques, and a bit of the greatness Austro-Hungarian. Many catholic pilgrims take delight with Medjugorje’s tourist religious complex, specially when the Irishes are in the city and can take the Craic. Thin and elegant, Stari Most (Old Bridge), has got an arch on the whirlpools of the river Neretva, and gives to this former city its icon and name: “Mostar” that means “guardian of the bridge”. The reconstructed bridge was re-opened on July 22, 2004 by good words of reconciliation and hope. Flanking the bridge there is the old paved Ottoman neighborhood of Mostar, a refuge for artists of the city and craftsmen, together with the mosques of the 16th century, the old Turkish houses and coffees without end are a real attraction in Mostar. In the restaurant of the western side the terraces embrace the rocky shores competing for the best panoramic point of the Old Bridge and its river. In Mostar there are some buildings as majestic as the gymnasium and the baths of the city, which were constructed in the times Austro-Hungarian, giving a greatness to Mostar. Whereas many big buildings of Mostar were destroyed in the war, today only show their ruins but little by little many buildings in Mostar are being get back to the life. 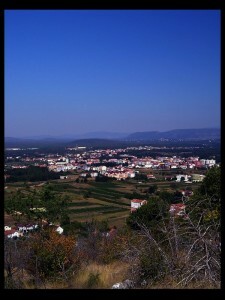 Medjugorje is a notable place – a tourist religious complex that it attracts catholic tourists in the whole world. If you come as a sceptic or as a pilgrim to visit Medjugorje, the city will surprise you for the conjunction of beliefs and trades. On June 24, 1981 six teenagers of Medjugorje invoked that they had seen the appearance of the miraculous Virgin Mary, and from this moment the tourists’ income in Medjugorje increased a lot. Now Medjugorje is flooded with pilgrims, tourist buses and shops of souvenirs with badly taste. The catholic Church has not recognized officially the appearances (the first one in Europe from Lourdes, France, in 1858, and Fátima, Portugal, in 1917). Three of the six continue protesting to have the daily vision , whereas the Virgin Mary only appears to the others in a special day. The multitudes come for Easter for the Walk of the Peace and it celebrates the anniversary of the first appearance in 1981, the Asuncion of the Virgin (August 15) and the Nativity of the Virgin (the first Sunday after September 8). Medjugorje can be visited in a full day excursion from Mostar. This magnificent region of Bosnia and Herzegovina includes cities full of a singular natural beauty. For example we can find Travnik, which has got medieval castles, hillsides and wooded valleys, also Jajce’s city that has its own waterfall and medieval catacombs. 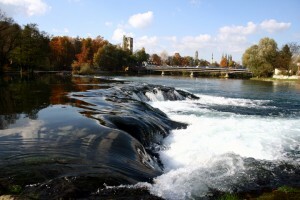 Finally the city Bihac is known by its exterior attraction, specially for rapid of the river Una. Located in the northwest of Bosnia and Herzegovina, Bihac is gaining earning a reputation as one of the cities most orientated outdoors of the country. Bihac’s principal attractions are the dangerous rapid of color sapphire of the Rio One, which turn with the kayaks and the practice of the rafting into a playground. The Ditch One, in the last week of July has a duration of three glorious days and it is worth to have fun with the ships. 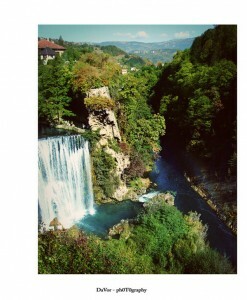 Not many cities can presume of its own waterfall, but Jajce’s city can presume calmly. Not only for it, but also Jajce has medieval catacombs, defensive towers and a citadel in the hill, a prehistoric temple, a statue of polystyrene of Titus and some lakes of great beauty. All these tourist attractions that Jajce’s city offers are sufficient to take pleasure to the most experienced traveler. Like extra, there is one of the best Hotels of Bosnia and Herzegovina to stay in. With its impressive medieval castle on the hill that dominates the city and its association with the famous place of birth of the author Ivo Andric, Travnik is an ideal full day excursion to take from Sarajevo or a good stop in the way towards the city Jajce. Travnik is a city hidden in a narrow wooded valley located only 90 kilometres to the northwest of Sarajevo, Travnik was the headquarters of visires Turks who governed Bosnia and Herzegovina from 1699 until 1851. The city Travnik turned into an international crossroads, with the openings of the embassies of France and Austria here, and its diplomatic life was Andric’s inspiration for Travnik’s Chronicles.